214 pages | 16 B/W Illus. Ecological Exile explores how contemporary literature, film, and media culture confront ecological crises through perspectives of spatial justice – a facet of social justice that looks at unjust circumstances as a phenomenon of space. Growing instances of flooding, population displacement, and pollution suggest an urgent need to re-examine the ways social and geographical spaces are perceived and valued in the twentieth and twenty-first centuries. Maintaining that ecological crises are largely socially produced, Derek Gladwin considers how British and Irish literary and visual texts by Ian McEwan, Sarah Gavron, Eavan Boland, John McGrath, and China Miéville, among others, respond to and confront various spatial injustices resulting from fossil fuel production and the effects of climate change. This ambitious book offers a new spatial perspective in the environmental humanities by focusing on what the philosopher Glenn Albrecht has termed 'solastalgia' – a feeling of homesickness caused by environmental damage. The result of solastalgia is that people feel paradoxically ecologically exiled in the places they continue to live because of destructive environmental changes. 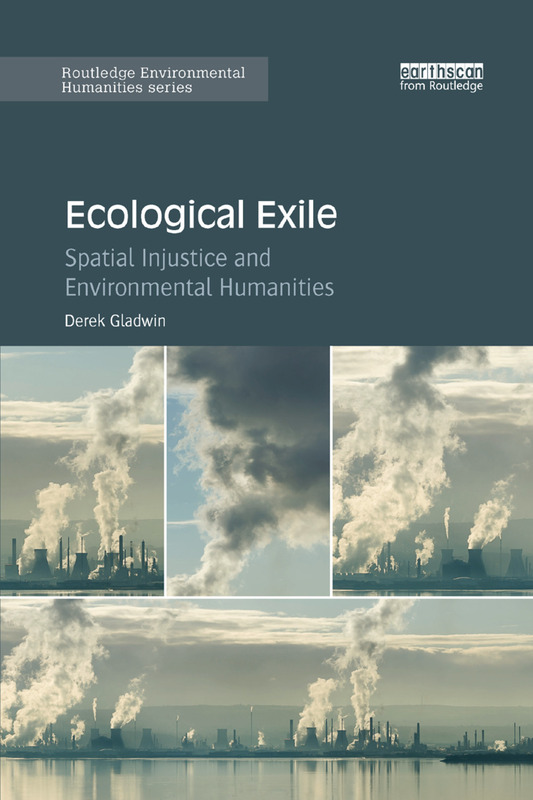 Gladwin skilfully traces spatially produced instances of ecological injustice that literally and imaginatively abolish people’s sense of place (or place-home). By looking at two of the most pressing social and environmental concerns – oil and climate – Ecological Exile shows how literary and visual texts have documented spatially unjust effects of solastalgia. This interdisciplinary book will appeal to students, scholars, and professionals studying literary, film, and media texts that draw on environment and sustainability, cultural geography, energy cultures, climate change, and social justice. Derek Gladwin is a SSHRC Postdoctoral Fellow at the University of British Columbia, Canada. He was an Environmental Humanities Fellow at the University of Edinburgh, UK, and at Trinity College Dublin, Ireland. His authored and co-edited books include Contentious Terrains (2016), Unfolding Irish Landscapes (2016), and Eco-Joyce (2014). Please visit derekgladwin.com.